Barking Rabbits: Physics: Reality is in the eye of the beholder. This post is going to be about some of the latest theories in physics, and it will probably take off from there. I have lots of thoughts related to this subject, and I am not exactly certain which direction I may end up. As envisioned, this will be part of a series of posts about... well, about what my particular beliefs are. I have already posted some on this subject. Hopefully, I can tie some of this together so that I might be able to understand it better, and if anyone else is along for the ride, well, I hope you might get something out of it. I am going to start out this post by talking mostly about myself and of my experience in the realm of physics. This is a bit of a change of tack for me, as I usually try to avoid talking about myself in this blog. My thought is that, if anyone is going to read this stuff that I produce here, they need to be at least moderately interested in the subject matter. I find myself distinctly non-interesting as subject matter, and certainly so too would people who have no idea who I am. However, I intend on using this personal information about myself as a springboard into the broader discussion of physics in general and what some of the conclusions and thoughts I have about “what it all means”, if that is possible. As noted in my bio information on this blog, I have a B.S. in engineering and an M.S. in physics. Now, many people might think that engineering and physics are very similar, since they are related by a common language of math. That is what I thought when I got into the program. I quickly found out that I was very much mistaken. The two disciplines are very, very much different, and the people who inhabit the two arenas are also very different. Engineering, in its basic form, is about making whatever you are working with in this universe (electrons, iron beams, air compressors, airplanes, computers, etc.) conform to your will and get them to do whatever it is you want them to, in the best manner possible. The “best manner” might be defined as the cheapest, the lightest, longevity, susceptibility to radiation, etc. It all depends on what exactly you are trying to achieve. But that is what engineering is about, a manipulation of materials in order to get them to do what you want. Math is the primary tool used to achieve this goal. Physics, on the other hand, is an investigation into why the universe is the way it is. Physicists are attempting to come up with the “rules” that governs everything, both matter and energy, which make up the universe. Again, the primary tool is math. This is necessary for several reasons, but one profound reason is that English, along with every other verbal-based language, cannot begin to explain the concepts that modern physics is dealing with in any way that makes sense to a laymen. Many make valiant efforts and they do help, but most laymen, I believe, respond with a giant “what the hell are you on about?” English is not well suited to conveying the concepts hidden in the underlying structure of what we call “the universe”. Before I entered into my post-graduate work, I had taken some modern physics classes in the course of my engineering degree, and I did very well. I read a lot of the journals and all the articles in Scientific American. I thought myself very well versed in what was going on in the field. I thought the program available to me would be interesting, and you never know when an advanced degree might actually come in handy. It didn’t take me very long before I started suffering from a “break” from between what I thought I was going to learn and what I was actually getting. I wanted to know more about what I had been reading about. What I was getting was a forced diet of fundamentals that seemed to have nothing much at all to do with what my intentions were. The best example I can think of was my experience with Quantum Mechanics. Most everyone has heard of this subject, most have no idea what it is about. Some people have heard of Schrödinger's cat, but few can probably do an explanation justice. However, Quantum Mechanics is fundamental to everything that has gone on in physics since Albert Einstein. When I got into the subject, I struggled both with the math and the entire purpose of the subject. I was given no introductory material, no “tie in” to where this all fit in the big picture. What was presented was a new type of math, with its own rules. In fact, I hesitate to call it “math”. All the familiar symbols and operations are largely abandoned, and new ones invented. It almost seemed like a game to me. Or, a better analogy might be learning some fabricated language like Klingon from Star Trek or Sindarian Elvish from The Lord of the Rings. Both have totally fabricated rules and constructs which have absolutely no application outside of that little community of other people interested in the same thing, but there is an “accepted” way of doing it correctly. The same holds true for Quantum Mechanics. You have to learn very obtuse rules about how to manipulate largely arcane symbols in order to achieve the desired outcome. If you learned the rules correctly and could apply them, you got a good grade. If you didn’t, you failed. Notice that neither outcome seems to have anything to do, at all, with the “reality” of the universe. I didn’t see that connection. I still don’t. It was all just a game that someone invented that had no bearing on much of anything. Given all that, I still think that advances in physics, at both the subatomic and the cosmological levels, are truly fascinating. I am not going to try to give a layman’s lesson of modern physics here. I would, no doubt, make a hash of it and if anyone really is interested in the nuts and bolts of it, they are likely to get their information from somewhere other than a nondescript blog that people only stumble across intermittently. I will therefore try to just jump to the conclusions and talk about what those conclusions mean to me. I will try to include references and links to those who might actually be interested in pursuing it a bit further. One of the more fascinating aspects of all the work that is going on is what it implies the universe actually is. Most everyone understands the different “dimensions” that we, as humans, perceive that make up the universe. Up/down, backwards/forwards, left/right. X, Y and Z on the Cartesian coordinate system. Three dimensions, and because of the work of Albert Einstein, we now concede that time makes up the fourth dimension. We all understand that, because we can experience that directly. Drive a car in a hilly area, and you have automatically moved through all four dimensions. The “Holy Grail” of physicists worldwide, is to find a single model that explains all four forces of the universe: gravitational, weak nuclear, strong nuclear and electromagnetic. The more people tried, the more elusive that unified theory became. One much explored theory that showed considerable promise since the early 1980’s is called the String Theory. Here’s a quick Wiki introduction to String Theory. One of the fallouts of String Theory is, that for it to really work, the universe must be made up of more than just four dimensions. Many more, it turns out. Depending on which actual theory you subscribe to, the final number might be ten, or it might be eleven. It seems that people are now settling on eleven. This eleventh dimension makes many things possible, such as combining what were once five different string theories into just different aspects of the same overarching theory. It also brings in a theory referred to as Super Gravity, which always advocated eleven dimensions. By doing this, String Theory has now morphed into something that is now called Membrane Theory, or just plain M-theory. It has taken me this long just to get to the matter that I really wanted to discuss, which is the eleven dimensions of the universe this theory implies. This is not just some ivory tower theoretical exercise, inventing more Klingon language rules that don’t have any meaning to anyone except those interested in learning a totally fabricated language. The work that these physicists are doing is really targeted at explaining what the universe actually is, regardless of how illogical or out-and-out ridiculous it all might sound. Many aspects of this incredibly weird universe have been confirmed by direct experimentation. One example is the Gravity Probe B satellite, which has confirmed several aspects of gravity predicted by Einstein’s Theory of General Relativity. One effect is the geodetic effect—the amount by which the mass of the Earth warps the local space-time in which it resides. The second effect, called frame-dragging, is the amount by which the rotating Earth drags local space-time around with it. My point here is not to try to explain how this hugely complex experiment went about trying to prove these effects actually exist, or even what these effects actually are. My point is this. Experiments such as this are actually proving that these theories are not just Klingon language. 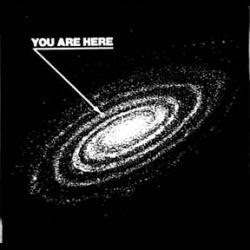 These theories are actually describing the universe as it truly exists! It doesn’t matter if we, as humans, as so limited in our ability to perceive anything other than our boring three spatial dimensions and one temporal dimension. The actual work proving these theories seems to be running about 80 years behind the advances in the theories themselves, but direct experimentation is showing that the theoretical math the world’s physicists are coming up with actually do describe the universe. This is staggering information, and is truly difficult to assimilate into any sort of rational mental picture of the universe that ordinary humans (i.e., non-physicists) can grab onto. Just think. Subatomic particles, such as electrons, proton and neutrons, are not really particles at all. They are waves; they are vibrating strings. They are knots of energy. “Matter” at that level has no meaning. Matter warps time/space, and makes gravity wells in the fabric of the universe. Time is not constant; it changes depending on the point of view of the observer. The universe is expanding, but if the universe contains everything known, then what is the universe expanding into? These are truly breathtaking concepts. The universe is not at all what our human senses perceive it to be. It is something truly strange. In my next post on this subject, I will try to produce some coherent thoughts regarding the effort by many people in our society to discredit science and to elevate uninformed opinion into something, in their eyes, that is equivalent to thousands of man-years on the part of many, many incredibly talented and inquisitive people all over the world trying to explain the universe that we inhabit.